My position as a K-12 Teaching Assistant has taken me into many different grade level classrooms. One common issue I’ve seen over and over again is the teachers frustration when a YouTube video is stuck in buffering mode. Many times this problem is caused due to a bandwidth issue. 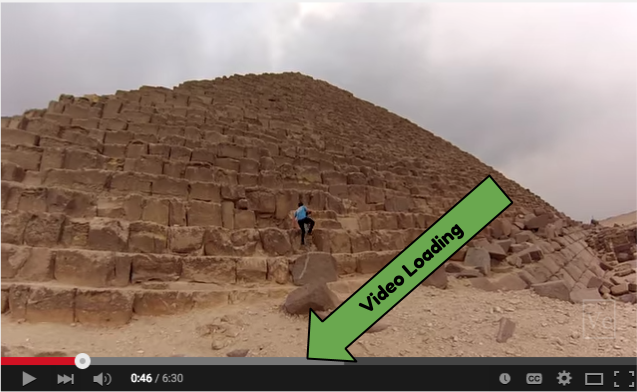 One simple way to resolve this issue is by pre-loading the video beforehand. This is done by immediately pressing the pause video button. You will notice a gray bar continuing to move as it loads the video. Depending upon the bandwidth issue this may or may not work. You may notice only a partial video load by using this process. A better choice is to show the video in a lesser quality format. If you would like to do this go to the gear symbol in on the video a drop down menu will open, and chose the word quality. Choose a lower quality video such as 360p or lower instead of HD (High Definition).